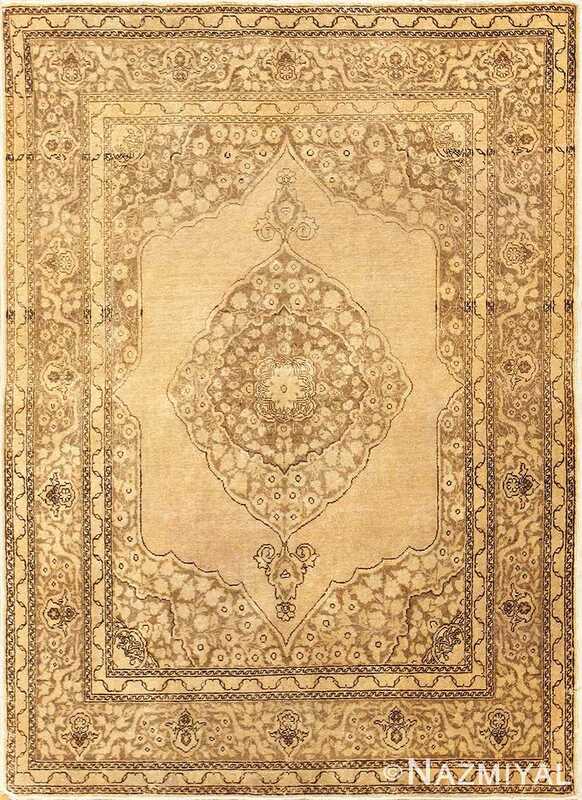 Fine Earth Tone Decorative Scatter Size Antique Persian Tabriz Rug, Country of Origin: Persia, Circa Date: 1910 - With a honey-hued backdrop stitched with darker brown shades, this finely woven, small scatter size, antique Persian Tabriz rug, features a central medallion and reflects about the horizontal and vertical axes. The darkest stitches limn the overall designs, separating components and adding small details. 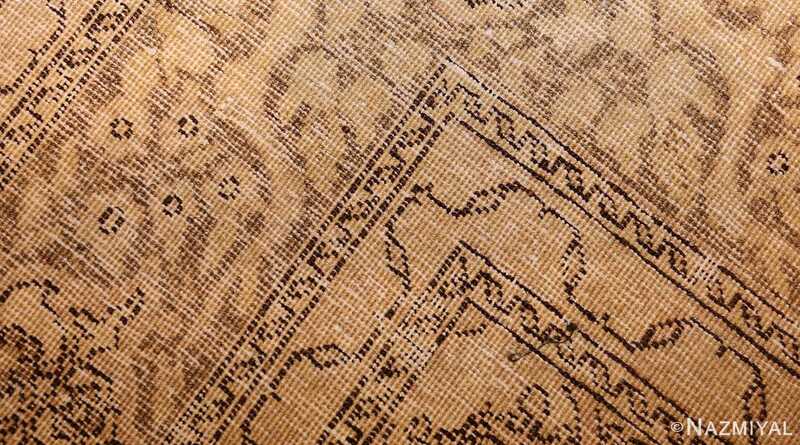 Lighter shades pick out a mottled pattern that uses negative space to imply floral shapes. 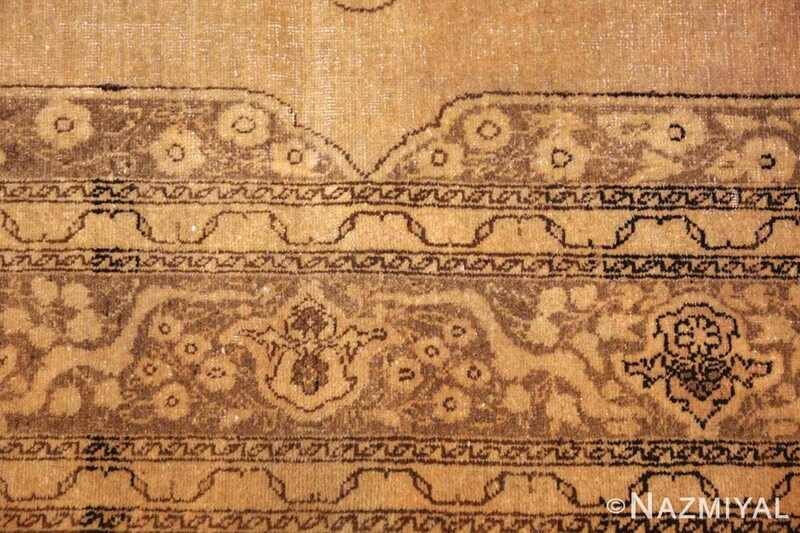 Botanical accents seem to sprout from the top and bottom of the medallion with leaves that curl in and a single blossom at each peak. 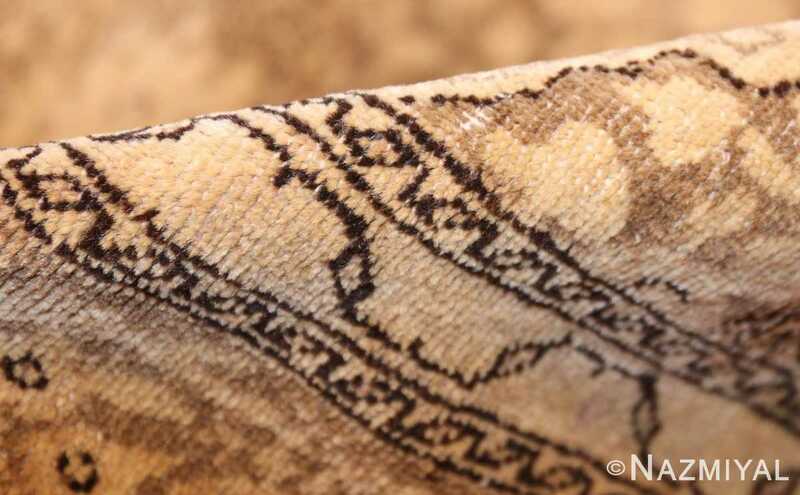 The corners around the figure describe a shield form, filled with the same lighter shading as the main pattern. 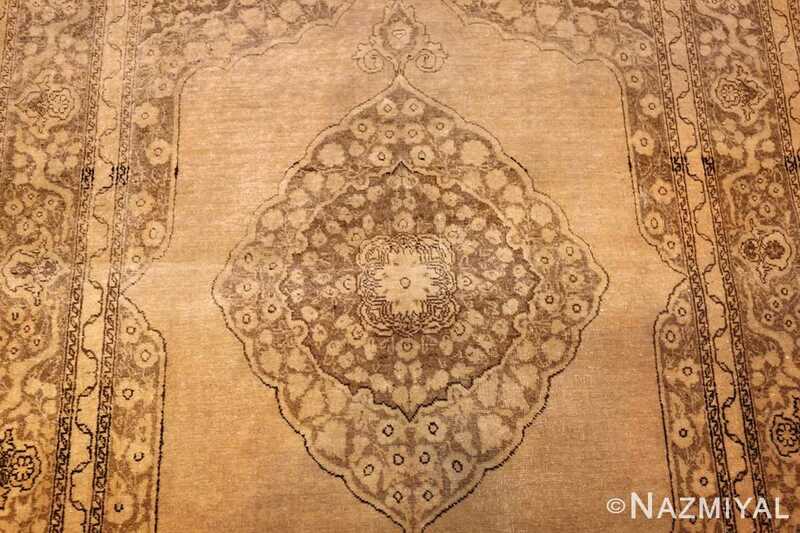 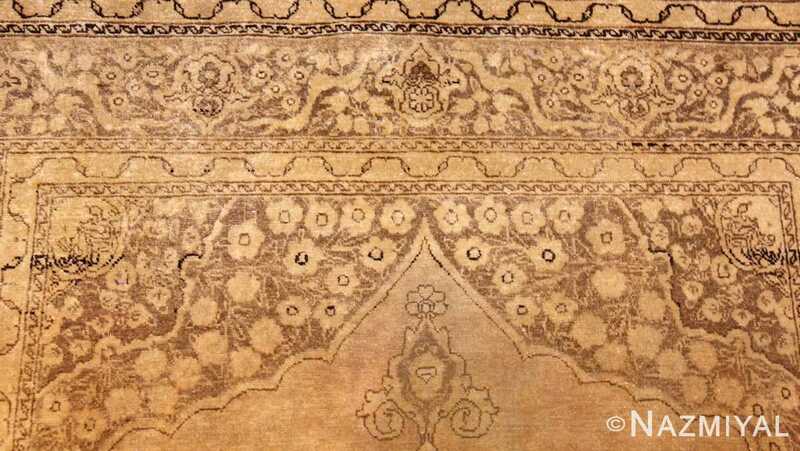 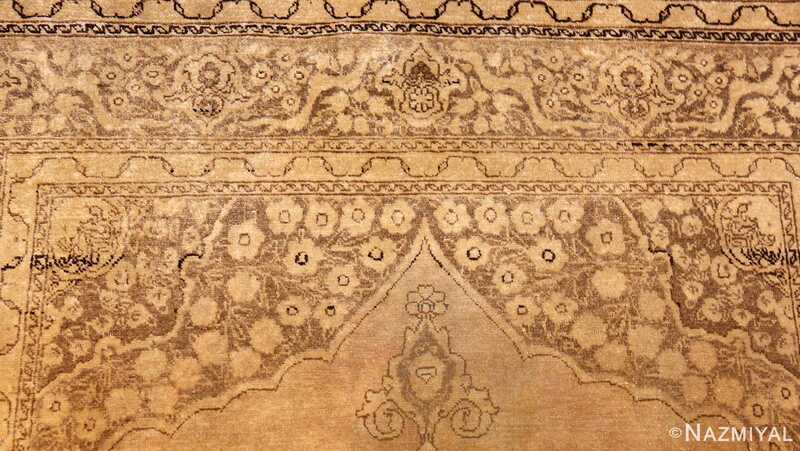 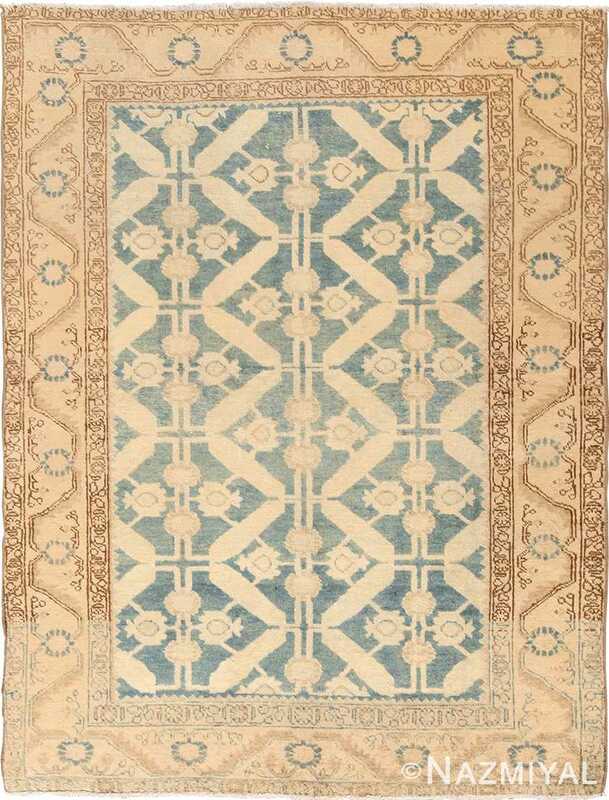 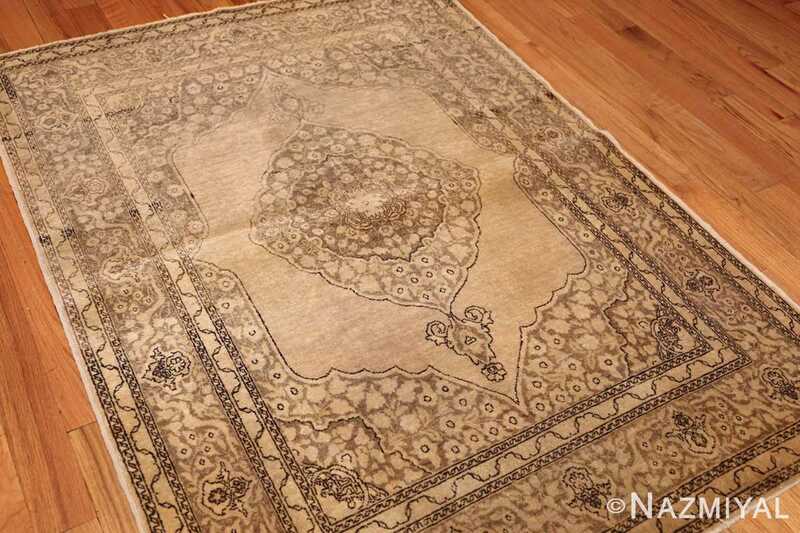 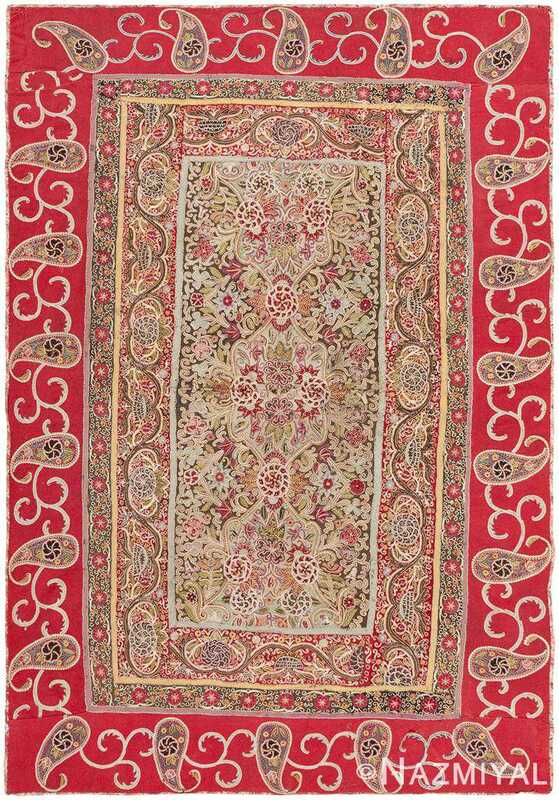 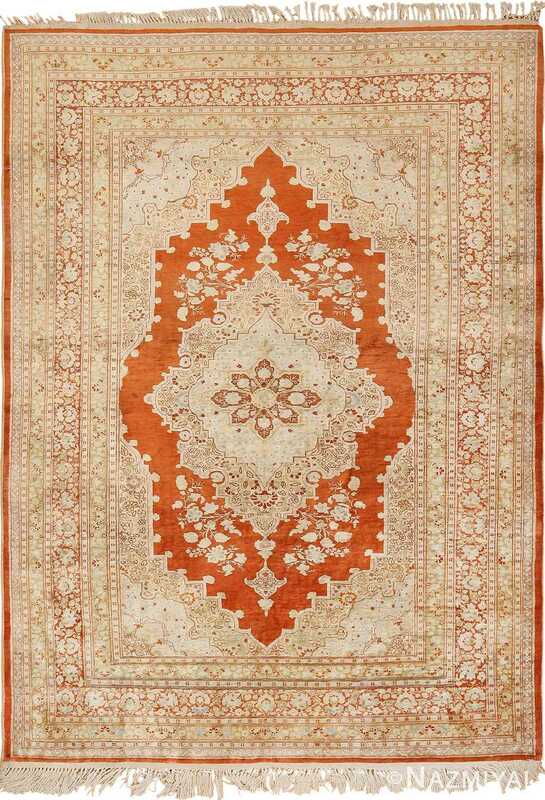 Narrow, twining vines border the outer edge and small ornaments add complexity to the primary band in this decorative earth-tone antique Oriental rug.